If you have made a purchase and have an issue, visit our Technical Support Page >> for immediate answers about accessing, downloading and using your tools. Click on the relevant topic below to get answers to the most common questions. What are Coaching Tools & Exercises? The purpose of our coaching tools is to help your clients explore themselves - either as homework in their own time, in session or perhaps in a seminar with you. They are a mix of familiar exercises eg. The Wheel of Life, SWOT and The Urgent/Important Matrix and innovated exercises like "Eat Your Elephant" or "Troll Travels". Through the tools the client is given space to develop their own insights into themselves which they then discuss and delve deeper into with you. What new insights have they gained? What does that mean for them? What are they going to do about it? What are the LICENSING Terms? Can I BRAND the tools? Rebrand our tools and products as directed, for use directly with your prospects, one-on-one coaching clients, group coaching and workshop attendees. Email the tools to your clients and prospects, and also print them out for use in one-on-one coaching, group coaching and workshops. Resell the tools - in whole or in part. This includes using our tools as part of a free or paid eCourse or eBook. Give away our products or make them available online as a free resource. This includes but is not limited to; making our tools available on your website, in a private members' area on your website, posting our tools on social media, using our tools as a giveaway with newsletter sign-up, using our tools as a bonus or gift in a blog post, product or other marketing project and including our tools in a page of free resources for your clients. What About The Social Media Graphics Tools? SOCIAL MEDIA GRAPHICS ONLY: You may brand and post your purchased Social Media Graphics online. This means you may post on Social Media platforms and on your website (eg. in a blog post). SOCIAL MEDIA GRAPHICS ONLY: While you may post your purchased Social Media Graphics on Social Media platforms and on your website, you may not resell or give them away. You can choose whether to pay using your Visa, Mastercard or Amex or your Paypal account if you have one. Paypal is the "back-end" payment processing "engine" - it's a secure, online payment system used by millions of people worldwide. PLEASE NOTE: Payments will show as being made to Simplicity Life Coaching Ltd. The Coaching Tools Company.com is a division of Simplicity Life Coaching Ltd.
All our products are electronic. We currently use WooCommerce, a tried and tested professional shopping-cart that specifically caters to e-products. Once you've paid, you are returned to a page on our website and provided with links to download your products. - IMPORTANT: For our Toolkits, Programs and Megapack you will need to copy or Extract the files from the .ZIP folder onto your computer. - CAN'T FIND YOUR FILES? If you click a download link and can't find your files, check the "Downloads" directory on your computer. As a back-up, you will ALSO be emailed an order confirmation that contains links to your products (this goes to the email address you entered at Checkout). MEGAPACK OVERLAP: Wondering about the overlap between the Megapack & the Renew You Program or Business Coaching Toolkit? The MEGApack contains all 67 of our life and career tools (scroll down for complete contents list). Due to overlap/similarity with the Megapack, you can add either/both Renew You Program and/or the Business Coaching Toolkit onto the Megapack for just $99 each (usually $197). This discount is applied automatically in the cart once you have added all the relevant items. Renew You, Love Your Life! 90 Day Coaching Program: 11 of the 14 Coaching Tools in the Renew You Program are available in the Megapack. By adding on the Renew You Program you also get a detailed 33 page session by session User Guide (how to run a 3 Month Coaching Program), a 22 page detailed Tool Inventory with instructions, plus a Coaching Program Checklist, and Marketing Materials including Quotes, Social Media Graphics, a Printable Poster, Marketing and Social Media Copy. Small Business Coaching Toolkit: Of the 30 Tools in this Toolkit, 5 tools are exclusive to the Business Coaching Toolkit, 9 tools are based on a tool in the Megapack but have had a more substantial change, and 15 tools are similar to a tool in the Megapack but have had a word and image change to be business-focused. See detail of Small Business Toolkit overlap/similarity here. The Small Business Toolkit also includes a User Guide with a suggested order and structure for the tools. The Coaching Tools MEGApack includes ALL our paid Life and Career Coaching Tools. 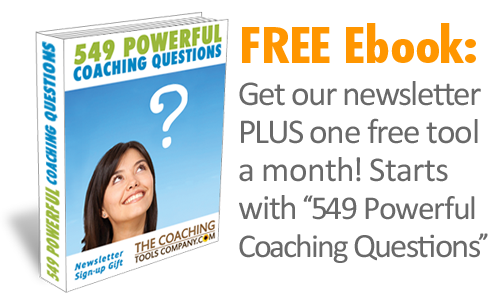 That's 67 Coaching Tools (7 Toolkits and the 6 Tools not in any toolkit) for just $295. Firstly, we went through a strict process to be recognized officially as a "secure" site - as designated by the s after the http:// - so you'll see https:// at the beginning of all our web page addresses together with our verified company information. Secondly, we use a tried and tested professional shopping-cart that specifically caters to e-products. Thirdly, Paypal is our payment engine (whether you pay by credit card or your paypal account). Paypal is an internationally recognized online and payment service that securely manages your payments and personal financial information. Only Paypal ever sees your payment information. Visit the Paypal website if you would like to know more. What FORMAT do the Tools and Resources come in? Each Product tells you what format it is in under the Product Details tab on the Product page. Most of the Coaching Tools are supplied in Microsoft Word .docx format 1 - so that everyone can easily customise and add their branding details etc. Some products are .pdf (eBooks and user guides) and .jpg (images) format. Each Microsoft Word Tool works in both the Letter and A4 paper size. 1 Please Note: To correctly open and edit our tools you will need a full version of Microsoft Word. We do not support opening and editing the tools in other document viewers/software. This includes the free version of Microsoft Word Online - which is limited in functionality and does not support many standard word-processing features including "Headers and Footers" (where you add your branding), the display of objects - which could include images, and cover pages. Can I rename The Renew You, Love Your Life Coaching Program? Yes, whilst we don't recommend it - you are allowed to change the name. The 13 coaching exercises are all client-facing and Microsoft Word .docx format. But these are not branded "Renew You" - so no rename is necessary. The User Guides and Checklist are all branded "Renew You" and are .pdf format. But as these are not client facing (ie. only you use or see them) - no rename is necessary. The Marketing Materials are branded "Renew You" in .jpg format and these are (potential!) client facing. This is where you need to make the changes. Poster – Although it is Microsoft Word .docx format, the text program name "Renew You" is part of the image. If you wish to change the name/title, simply remove the background image from the Word document, copy the background colour of the sky, draw a square that colour over the top of the "Renew You" name, replace it with your new name, and then put the background image back in. We can also supply a .jpg of the background image file for you to change on request. Quotes x 13 – These are .jpg format. It is easy to copy the solid background colour and then draw a square that colour over the top of the "Renew You" name, then replace it with your new name. Social Media Promo Graphics x 5 – These are .jpg format. Draw a white square over the top of the "Renew You" name, then replace it with your new name. The above is easy to do if you have a graphic editor and know how to use it. If not, a graphic designer should be able to do this for you quite easily. Firstly, if the article (or graphic) is by a Guest Author, please contact the Guest Author in question using the contact information found in the contributing author details at the end of the article. Article (or Graphic) by Emma-Louise Elsey, professional life coach and founder of The Coaching Tools Company.com. Reprinted with permission from "The Launchpad" newsletter and blog - for people who love coaching. Get more helpful articles for coaches, coaching tips, free resources and more. Visit The Coaching Tools Company [link to original article/graphic page OR https://www.thecoachingtoolscompany.com] to learn more. Article (or Graphic) by Emma-Louise Elsey and translated by [your name]. Reprinted with permission from "The Launchpad" newsletter and blog - for people who love coaching. Visit The Coaching Tools Company [link to original article/graphic page OR https://www.thecoachingtoolscompany.com] to learn more. TESTIMONIALS - What do people say about our Coaching Tools? Do you provide UPDATES for the Tools? We do sometimes update our tools and resources, including occasionally adding new tools to toolkits. We usually announce these updates in our newsletter. The latest version of a product can be supplied on request for up to 12 months after purchase. Simply contact us with your order number or the email address you used to make your purchase, and we will send you the up-to-date product or .zip file.